This is a purely indulgent post, full of personal memories. But I do hope you find a few things that will make you smile too. I love the memories you can get on Facebook, when it shows you what you have posted on the same day in the past. I get some real gems showing up so I thought I’d collect some and share them in a post. One day I was playing with Star and I asked her if she’d like to sing a Christmas song. ‘Yes’ she said, she always loved to sing. So I asked her what song she’d like to sing, thinking maybe she’d come up with Jingle Bells or Rudolph the Red Nosed Reindeer. No, she said. Let’s sing the one about the turkey and the custard cream. Ah yes, that good old Christmas classic. I’ve never worked out what she meant. While I was pregnant with the Little Man we braved a holiday with the girls. It was a lovely holiday camp and we had a great time. Boo was around two and a half at the time and one day she was prancing around with a stick saying ‘We are the Biscuit Ears!’ We thought it was hilarious. Star understood her so we asked her to explain. Of course, she meant musketeer. Barbie and the Musketeers was currently Star’s favourite DVD to watch. We’ve constantly teased Boo about being a biscuit ear. In 2011 the Little Man was around but he wasn’t talking yet. So I have a couple of gems from the girls. Just before the Summer holiday break up at school Star’s class all came out with painted faces. They ran out of school like a herd of animals. Then came Star with a clean face. When I asked why she wasn’t painted like the other children she replied, ‘I washed it off Mummy, because I didn’t want to scare you. So sweet! I do think that there is more to this story though as Star became traumatised by face paint since then and will not even go near a child that has had their face painted. Early 2011 Boo was just three years old. They had both been given a packet of sweets on the way home from shopping. At home Star was looking for her sweets, I asked Boo if she’d seen them. She replied, ‘yes Mummy, I’ve seen them and now they are in my tummy.’ If nothing, she was honest! And how could you be angry when she had such a sweet little face…look this is the face of the innocent..or not! This one is for the Little Man. In 2014 when he was around three and a half he was at that stage where he followed me everywhere around the house. I couldn’t even go to the bathroom in peace. I’m sure you parents can understand. One day I grabbed my towel, my hair dye and popped off to the bathroom to die my hair. The Little Man asked ‘What you doing Mummy?’ So I told him I was going to dye my hair. But lets go back to 2016 and the Little Man when he was just five years old. He was playing a little game on the computer and had his own playlist on in the back ground. It was four songs on repeat; We Will Rock You, Levan Polka, It’s Raining Taco’s and Gummy Bears. I think you can understand why all my children now have headphones! As an extra special treat for you, here is the Levan Polka as performed by the magnificent Hatsune Miku. Spin those leeks! Each year we take a holiday with Haven simply because Star is happy to do so because it’s something she is used to. We can go to different camps, but they all have similarities which help Star. This year we went to South Devon, near Exmouth. We have been to this camp before but it was eight years ago. Star was four, Boo was two and the Little Man was a bump. We were so excited to go back as we had such lovely memories from there. I would so love to live near the sea, it was visible from our caravan. I loved waking up, opening the curtains and seeing the wide blue ocean. I would watch the huge ships making their way to Plymouth harbour in the distance, and the little sailing boats bobbing along. The holiday camp had access to the beach, but unfortunately it was a very steep decline and I just couldn’t make it in my wheelchair. There was a cafe right on the cliff edge where I could grab a coffee and watch my family explore the rocks. I would have given anything to be able to join them, but it was enough to be able to relax and look out at the sea. Of course we did get to go to the beach at Exmouth which was only two miles away. I was able to get out of my wheelchair and sit on the steps with my feet on the sand. The tide was in and the water close. I know with help I could have walked to it and maybe have a paddle. But the water is cold and a sudden cold shock can make me ill. I didn’t want to take the risk, I was happy where I was, and the kids played on right in front of me. We visited the beach a second time and found a place where I could drive my wheelchair down the ramp directly to the beach. I then got out and sat on a rock. I was really on the beach! And Boo was really buried in the sand! Each day we planned one activity and then just did whatever we felt afterwards. This meant we didn’t miss out on anything we wanted to do, but were not stuck to a particular routine. We spent a whole morning painting pottery, which was relaxing and fun. We had to wait two days to get our finished pieces but we were all happy with them. We also went swimming, bowling and had a night out in the club where we saw an Abba tribute. We ate out a lot but also cooked in the caravan, which had a full size oven and fridge freezer. We spent some time just chilling in the caravan, reading, watching television, playing games and the girls even baked cup cakes. It was fun and relaxing, and I loved that I could see the sea all the time. We also spent a day at World of Country life which was so much fun and we’d definitely go again. Our holiday was just what we needed. The chance to chill out in a beautiful location. There was very little screen time and the kids played outside a lot. We managed to fit in a lot of fun things while still taking time to relax. We had no tantrums or meltdowns, no tears or fighting. There was the odd little moaning, but we are only human. I would definitely call it a holiday success. We didn’t even have any hassle on the journey which was amazing. We had our favourite songs on and sang along, to both old and new tunes. It was funny though, Boo asked Graham how far we had to go and he said, we are half way there now. Then the song ‘Living on a Prayer’ came on immediately afterwards and we were all singing ‘ooooh we’re half way there, oooooh Living on a Prayer.’ I did video it but I’ve promised not to share it, sorry. Since getting home we have also been relaxed. There has been a ton of washing to do, but that’s normal anyway. We’ve not been out much and it’s been nice to continue chilling out, although, I do miss the sea views. Filed Under: Personal Stories, Word of the Week Tagged With: beach, caravan, Devon], fun, holiday, relaxed, relaxing. Create your very own Comics. Call them comics, comic books, cartoons, or even sequential art. No matter the name, comics are everywhere – from the books you read to the hilarious TV shows and action-packed movies you watch. Cartoonist and comics-making instructor Jess Smart Smiley presents sixty-five hands-on activities, hosted by best friends Peanut (the turtle) and Bramble (the bear). With each activity, you can complete a new comic, using a variety of key skills, such as writing, drawing, character design , and story telling. Jess Smart Smiley makes rad pictures with his bare hands and loves to crate stories for all ages, He lives in Utah, where he can be found drawing in his sketchbook, hosting a comic jam, or enjoying time with his family. Visit his website at www.jess-smiley.com. Visual Literacy; Good illustrations tell parts of the story that aren’t clear in the text. Writing; how to create a good manuscript and dialogue. All three of my kids have found this book fun and useful. They are aged, 8, 11 and 13 years and all love drawing. The two eldest love making comics and already have many creations. This book has helped them to tone up on their skills, both in writing and drawing. The Little Man found the activities fun and hopefully will be writing his own comics soon. Now that he is home educated I may even have a ‘lesson’ based on comic making. The lessons are well presented and funny and each page has something interactive so the learning never stops. Neither does the fun. Here is the introduction page, as you can see, it’s simple but instructive and you turn the page and get going straight away. Disclosure: I was sent a copy of the book for the purpose of this review. All thoughts and opinions are my own. This post also contains an affiliate link. We were on holiday last week and stayed at Devon Cliffs holiday park in Sandy Bay, Exmouth. We have been there before and had fond memories of The World of Country Life which is in walking distance from the holiday park. We were so lucky with the weather while we were away, but the forecast had been not so good for Wednesday, so this was the day we decided to go. If memory served us right, there was just as much to do under cover as there was outside. As usual, the forecast was wrong and we had another sunny day. This meant lots of fun in the outdoor adventure park. The kids were enthralled with the all wooden combine harvester, which was a newer addition as we did not remember it before. 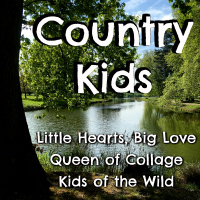 There is so much to see and do at The World of Country Life, I wouldn’t be able to fit it all in one blog post, but I’ll try and include some of the best bits for now. There could be no other way to describe this than a trip down memory lane. You get to walk down a replica of a Victorian street, minus the cobblestones (which is a huge plus for wheelchairs and buggies.) They are not just shop fronts either, you can go inside and examine the historical exhibits. There is even a pub with a piano and bar games you can play. There is so much more in the exhibition centre, from old farm machinery, to fantastic old cars and even a couple of mini trains. I think you could spend a whole day just walking around the museum. I must have over a hundred photos from in here and I didn’t spend much time looking at the old cars, I left that to Graham. Well, you can’t have Country life without animals and this place has plenty. You can feed the goats and sheep in the field, they are happy to come for a feed and a stroke. You can’t feed the Donkey but he’s happy to come for a stroke over the fence. There are also ostriches strutting their stuff out in the field. Over in the Old Farmyard you can meet a mummy pig with her piglets which are just too cute, but my favourite was the two Alpacas, Sven and Olaf. I think I can guess where their names are from. We were so lucky, we arrived at the goats just in time for their daily walk. It was hilarious, the kids were told to just follow the goats and not pull, but to let go of the lead if they ran off. We were lucky enough not to have any runners, but the kids had a real fun time walking their goats. Some were insistent on headbutting any other passing goat, and some were just too stubborn to move. I’ve got some videos to edit to show how much fun they were having. In the meantime here’s a photo. There were lots of Birds of Prey to see too. Each day they do a show but we didn’t catch it on our day. We also didn’t catch the ferret racing, but there is just so much to do, and we didn’t have time for everything. The train is open carts pulled by a tractor and everyone climbs aboard expectantly. The train then rumbles along and the driver, through speakers in each cart, tells you about the unusual sheep in the field. Then he tells you about the deer and llamas that you pass as the train goes around in a circle then stops. While circling the driver has thrown out feed for the animals and they come rushing over. Then the driver walks up and down the cart filling everyone’s hands with feed and the animals get right up close to fill their tummy’s. The deer are so beautiful and friendly and once they’ve moved on, the llamas come up for their turn. Finally it’s time for the babies to feed, there is a pecking order here. The cart was filled with squeals and laughter as the animals came up to feed. Hands and clothes got mucky and I remembered what I’d forgotten before. The girls had been terrified last time, and I couldn’t feed, so we’d huggled up in the middle of the cart to avoid them! This time though, was amazing. Even better than the goat walking! We had fond memories from our previous trip of the large pirate ship play area, which is indoors on a bed of sand, so great for any weather. The ship can keep kids playing for hours, there is so much to explore and once their imaginations get going you’ll find them role playing their own pirate adventures. Well, that’s what my kids did. I remembered joining in last time, holding my then two year old, Boo’s hand and helping her climb the decks and walk across the rope bridge. This time they didn’t need any hand holding and Graham and I enjoyed a nice cup of coffee while they played. It’s a Pirate Life for me! The World of Country Life is really worth a visit, it’s a fabulous day out for the kids but there is loads for the adults to enjoy too. The kids (and Graham) also had fun on the air bouncer and the huge slides. There are also swings, roundabouts, trampolines, soft play centres, bouncy castles, sand pits and so much more. Accessibility is really good, I had no trouble at all in my wheelchair, although the battery was getting very low towards the end. Pushchairs would be no problem at all, and there are plenty of paths if the grass gets wet or muddy. I had to transfer from the wheelchair to go on the Deer Train but there is a sheltered area to leave wheelchairs and pushchairs. There are two steps up onto the train cart and the seats are wooden and hard inside. The pricing isn’t too bad either, it’s £55 for a family of five (£45 for four), which is great value. I checked my Kids Pass the day before and found out I could save on two of the kids tickets, a total of £22.40! Once inside they have a few rides dotted around that will eat up your pound coins (conveniently we didn’t have any, but the kids were fine with that anyway.) We didn’t have food there but the coffee was reasonably priced, and you can always take a picnic, there are plenty of tables both inside and out you can use. We had to pay an extra £1.50 for the Deer Train, but you get the food included (Which is normally £1 a bag) It’s really worth it. Disclosure: I am a KidsPass Mumbassador. *If you don’t cancel your account at the end of your trial you will be charged the full membership.